InShortViral: The year 2015 was to be excessive in technology brands took leave behind. Whether you are going to have or not its corresponding mention in the Guinness Book or not, the news site Discovery Channel made the full list of which we extracted these 5 amazing records that the year to be left for history. Since the robot greater distance walked in 3 days to quicker resolution of the story of a Rubik’s Cube, the year was to be excessive in technology brands took leave behind. Whether you are going to have or not its corresponding mention in the Guinness Book or not, the news site Discovery Channel made the full list of which we extracted these 5 amazing records that the year to be left for history. Developed by the research team of Professor Li Qing School of Automation, University of Posts and Telecommunications Chongqing, China obviously, the robot named Xingzhe 1 remained with the brand after walking the impressive 134.03 kilometers distance in three days, he is moving continuously for 54 hours and 34 minutes. In total, he completed 1,405 laps of 95.39 meters from an indoor athletics. And all with a single battery charge, which was one of the requirements of Guinness. 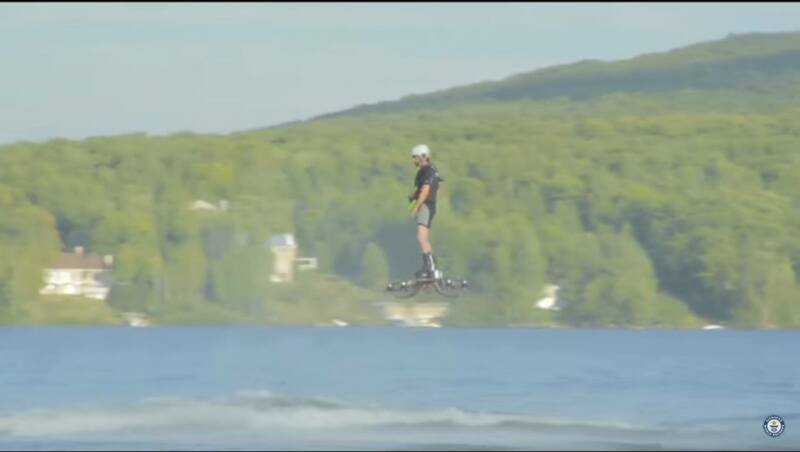 It is the invention of Catalin Alexandru Duru, a Canadian of Romanian descent who could fly at a maximum height of 5 meters and for a distance of just 279 meters and average lake Ouareau, in Quebec, a device that took him a year design and manufacture. A Guinness spokesman said that this is “a tremendous achievement and an incredible feat in the world of engineering and transport”. When he finished the build in August, the Shanghai Tower became the tallest building in China and the second-tallest building in the world after the Burj Khalifa in Dubai. The 128 apartments are stunning and 632 meters in total are raised, and the outer surface of the double glass facade is to be by twisting in a spiral as it rises. The glass gives the appearance of a transparent cover to the outer structure. A 14-year-old has the world record for speed solving the Rubik cube, doing so in November in less than 5 seconds. To be more precise, it took 4.904 seconds to complete the six faces of 3 x 3 during an official competition at River Hill High School in Clarksville, Maryland. The boy called Lucas Etter and was confirmed by The World Cube Association as the fastest so far, having certificate was beaten the previous record, 0.35 seconds slower. Incheon International Airport in South Korea, LG mounted 140 world combining curved screens 55 inches to an impressive suspended display that measures 12 meters high and 8 wide largest OLED display. As OLED technology has large backlit requirements and that his own light-emitting diodes, such a monstrosity of 290 million pixels are quite a living and flexible enough to hang from the ceiling of the airport.